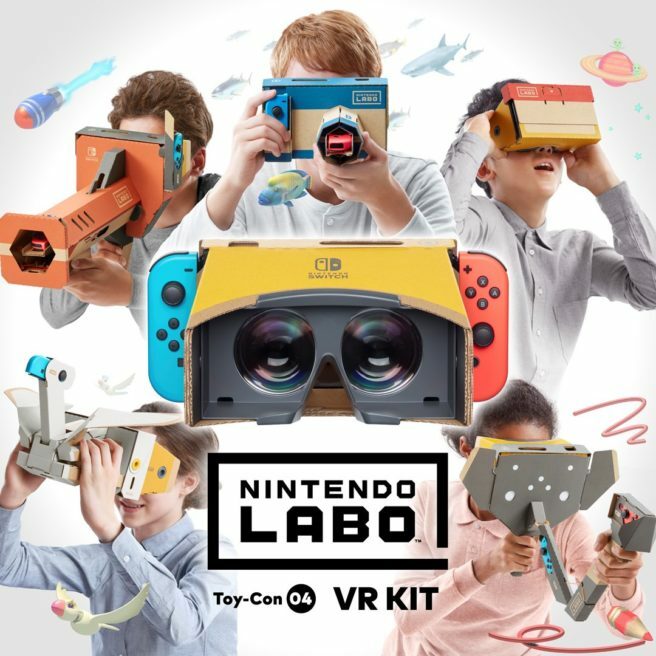 Nintendo announced the next Nintendo Labo product last week, and it’s a kit dedicated entirely to VR. The company updated its Japanese support website with some additional information about safety. While using the VR mode* pay attention to your body and, should you feel unwell, please stop playing and take a break. While using VR mode please be mindful of your body and play a little bit at a time until you become accustomed to it. Please pause the game and take a break the moment you begin to feel even a little unwell. The VR Goggle Toy-Con is handheld and not fastened to the head. The player can pause the game and take a break at any time. Due to things such as player’s physical condition, the type of image and also surroundings, some players may have difficulty seeing images properly while playing VR. VR utilises a 3D imaging technique called ‘Stereopsis’. The ability to see these images varies from person to person and difficulty can arise due to things such as a difference in ability between the right and left eyes and also pupillary distance (the space between the left and right pupils). If the VR image becomes difficult to see, the VR mode on the VR Kit can be turned on or off at any time. Please tailor your use to whatever suits you best. The intended audience for VR is those aged 7 and over. Those aged 6 and under should refrain from using the mode. This advisory age has been established by researchers in the ophthalmology and vision fields studying the effects of 3D images on the development of children’s eyes. Furthermore, there are still things that may not yet be understood about the effect VR may have on childhood development. For this reason, a prompt will appear within the game after a certain time suggesting the player take a break. We also ask that guardians encourage children to take appropriate breaks while playing VR. It is possible to set a limit to the time VR can be used within the game. For those with concerns, please feel free to use this function.